In my haste this morning, I totally forgot that TODAY is BBJ’s birthday! I started this blog 2 years ago today as a break from the world of finance and it’s grown into so much more all because of YOU, my Intenet friends. In two years, this blog has granted me access to things I NEVER thought possible: meetings with hair gurus Orlando Pita and Ted Gibson, makeup masters like Polly Osmond and the famed Gucci Westman and reporting backstage at Fashion Week, products beyond belief, and luxe beauty treatments. 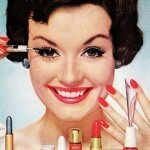 I’m amazed that after countless attempts to obtain a job in the beauty department at a magazine, writing this blog somehow along the way has transformed me into a veritable beauty editor. It’s kind of wild when you wake up one morning and you realize that you’ve become (or are at least very close to becoming) the person you’ve always wanted to be. I’ve met so many wonderful bloggers and people in this industry about which I have always had unbridled enthusiasm and passion but unfortunately, no legitimacy. Now I do. Thank you for your support, your readership and your subscriptions! It’s a Glamour.com Kind of Day! What’s On Kirstie McDermott’s Vanity? 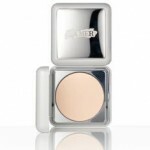 Powder Safely with The Treatment Powder Foundation SPF 15. ← Lash Extensions… or Lancome? 6 Comments → Happy Birthday, Blog! Sorry I am just now seeing this FAB! I have been out of the loop for the past few weeks. Wonderful Blog Birthday to you pretty lady! Congrats on validation and happiness! happy blogiversary Amber! love BBJ! happy birthday fab! you deserve all the cool stuff that comes your way, this blog is so great! i come here everyday to take a break from the stresses and annoyances of daily life and everytime something on here makes me laugh and peaks my interest. keep it up!!!!!! Congratulations on 2 Years, with many more beautiful ones to follow!